Don't create an AMI that contains an activated agent. Each agent must be activated individually. You can create a deployment script that activates the agent and optionally applies a policy. 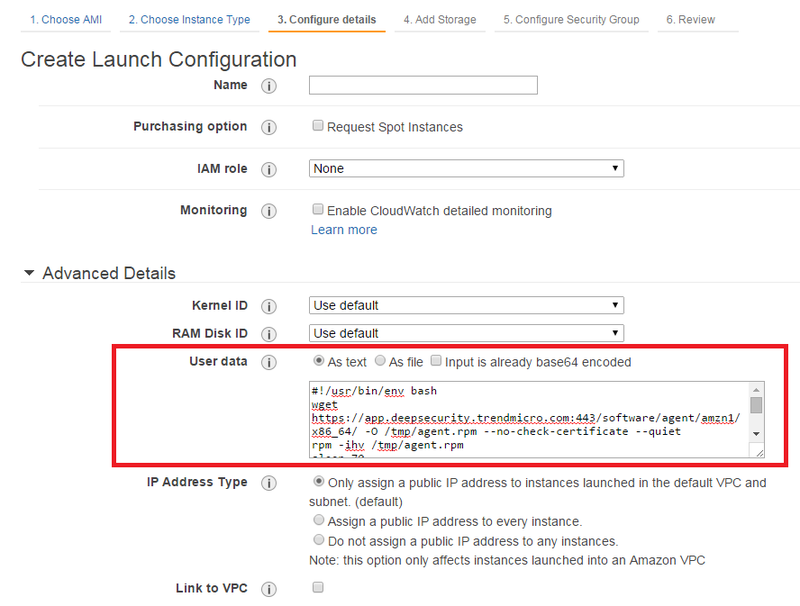 Then add the deployment script to the AWS launch configuration so that it is run when a new instance is created. For instructions, see the “Install the Agent with a deployment script” section below, but omit the section of the deployment script that gets and installs the agent. You will only need the dsa_control –a section of the script. You can set up an Event-Based Task in Deep Security Manager that will activate the agent and optionally apply a policy when an instance it launched and the “Computer Created (By System)” event occurs.